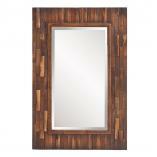 The unique design on the frame of this mirror is created by incorporating small rectangular pieces of wood into a simple pattern that has a very geometric feel when taken as a whole. Each piece is a slightly different wood shade, so the piece adds a touch of color to the room without being overpowering. 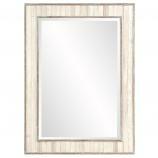 The mirror that this wonderful pattern surrounds is beveled, giving another added dimension. 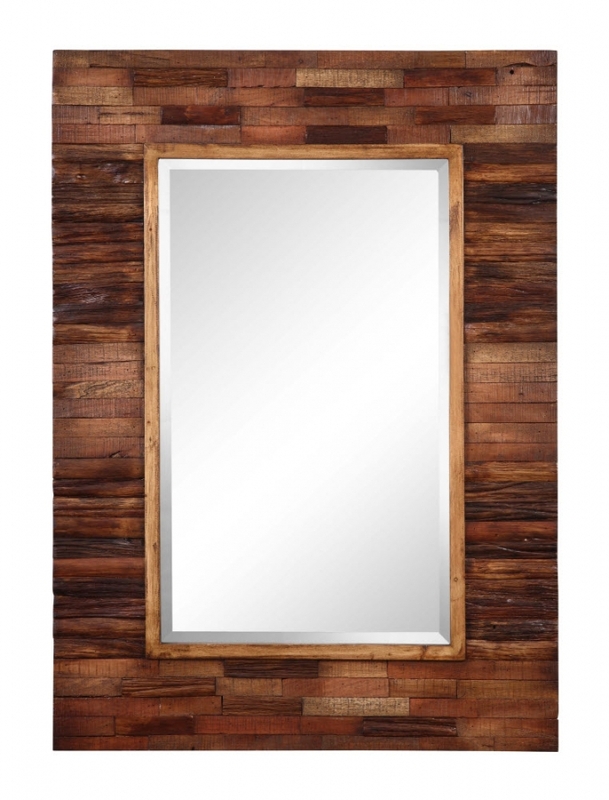 The rectangular shape allows for vertical or horizontal placement, so it will work well in many areas of the home, including a bathroom, a bedroom or an entry way. The brackets for hanging are included.